Lyon College is ranked in the top tier of the best national liberal arts colleges for the seventh year in a row, according to the 2014 edition of U.S. News & World Report’s Best Colleges guidebook. Lyon also made the list of colleges whose students graduated with the least debt load. According to U.S. News, these colleges emphasize undergraduate education and award at least half their degrees in the arts and sciences. Lyon is only one of a few schools in Arkansas that fits the criteria. U.S. News compiled a list of schools whose Class of 2012 graduated with the heaviest and lightest debt loads. The data include loans taken out by students from their colleges, from private financial institutions, and from federal, state, and local governments. Loans to parents are not included. Lyon made the list of 25 national liberal arts colleges whose students owed the least amount of money upon graduation. According to U.S. News, the average amount of debt for Lyon’s 2012 graduates was $17,179. Lyon is the only Arkansas college or university on the “Least Debt” list. Among the factors weighed in determining the Best Colleges rankings, the key measures of quality for national universities and national liberal arts colleges are: undergraduate academic reputation, graduation and retention rates, faculty resources, student selectivity, financial resources, alumni giving, high school counselor ratings, and graduation rate performance. Lyon College also was named to U.S. News and World Report’s “Most Students in Fraternities” and “Most Students in Sororities” list with 44 percent of students in fraternities and 41 percent in sororities. U.S. News also ranks national universities, which offer a full range of undergraduate majors, plus master’s and Ph.D. degrees, and emphasize faculty research; regional universities, which offer undergraduate degrees and some master’s programs but few, if any, doctoral programs; and regional colleges, which focus on undergraduate education but grant fewer than 50 percent of their degrees in liberal arts disciplines. The Princeton Review also recently recognized Lyon as a “Best Southeastern College” in its annual report for the tenth consecutive year and Lyon is included in Forbes.com’s “America’s Best Colleges” ranking. In August, Washington Monthly magazine’s annual College Guide also named Lyon one of the best liberal arts colleges in the country. Kirk Kelley is a proven winner and knows how to build and lead successful collegiate athletic programs. Now the Lyon College Athletics Hall of Famer is making a return to the institution where he built its baseball team into a NAIA championship contender and will attempt to do the same with the Scots’ new football program. Kelley, 48, will be introduced to the media and public today (Monday) in a ‘Meet-and-Greet’ event in James C. Becknell Gymnasium after being named as Lyon’s first football coach since 1951. The College is inviting the public to meet its new gridiron coach and enjoy free food and beverages beginning at 5:30 p.m.
Lyon College Director of Athletics Kevin Jenkins said that Kelley’s proven track record in his 25-year coaching career proves he’s the right man for the job. “Coach Kelley built our baseball program from the ground up and knows how to get the job done,” Jenkins stated. “He’s ‘old school’ in the sense that he’ll work hard day after day and make the sure the job gets done right. Lyon College President Dr. Donald Weatherman said it was crucial to find the right fit for the College, especially since the institution has such high academic standards. “Coach Kelley will set the right tone for this program and instill the right priorities in his assistant coaches and players,” Dr. Weatherman noted. “He knows how to be successful as a coach of a demanding academic institution. He also knows the faculty at Lyon and what they expect from all their students. Dr. Virginia Wray, Vice President for Academic Services and Dean of the Faculty at Lyon, echoed Dr. Weatherman’s feelings concerning the hiring of Kelley. Kelley, a father of seven, is originally from the Oklahoma City area, but graduated from Sarasota Riverview High School in Florida. He played quarterback at the school, before moving on to St. Mary of the Plains College in Dodge City, Kansas. He also played football at the NAIA institution, graduating with a Bachelor’s Degree in 1988. He earned his Master’s Degree in Education from Northwest Missouri State University in 1993. “There are going to be tough challenges ahead, there’s no doubt,” Kelley said. “But I love a challenge and the kids (that we recruit) are going to be excited about starting something new. Kelley has 19 years of collegiate head coaching experience under his belt. His longest tenure was at Lyon College, where he served as athletics director and head baseball coach from 1992-2009. 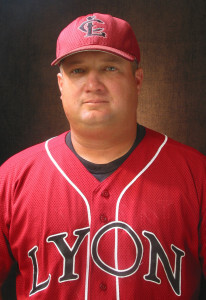 He faced the task of starting the Scots’ first baseball program in the 1993 season, eventually leading the squad to the school’s highest ranking of any team sport, earning a No. 4 ranking in 2005. Kelley, who recorded 595 wins as a collegiate head coach, led three Lyon teams to appearances in the NAIA Regionals, finishing runner-up in 2002. He also coached over 50 all-conference players, five All-Americans and a Rawlings National Gold Glove winner. His most recent coaching tenure was at University of Central Arkansas (Division I), where he served as associate head coach of the baseball program for three years (2011-13), leading the team to the 2013 Southland Conference Tournament championship. The team posted a school record 42-22 record this past season and finished in the NCAA Top 25 for the first time in the school’s history. Kelley also served as athletic director and head baseball coach at Oklahoma Wesleyan University (NAIA) from 2009-11, winning the 2011 NCCAA National Championship and being named National Coach of the Year. He said all of his past coaching experiences will be keys in his tenure at Lyon College. “All three of my (heading coaching) jobs have been unique,” Kelley stated. “Oklahoma Wesleyan’s program was ‘down’ when we got there and we feel like we had to build a lot at UCA. The building process is getting the right fits, academically, athletically and socially. That the first key. Kelley says his contacts and networking he’s built up over the past 25 years will be crucial in pulling student-athletes from not only the local area, but the across the state and beyond. Lyon College will be hiring two full-time coordinators in the next year to assist Kelley in the recruiting and planning for the Scots’ inaugural season. There will also be a number of part-time coaches hired. The College’s plan is to field approximately 65 players in the fall of 2014. Those players will be red-shirted, still leaving them with four years of eligibility remaining. The Scots plan to field approximately 100 players in the fall of 2015 when they begin intercollegiate football competition for the first time since 1951. The American Midwest Conference (AMC), which the nine other sports at Lyon College participate in, does not support football. Lyon is currently looking at options of joining a football conference, creating a dual membership. Jenkins said no choice has been made as to which conference the Scots will apply to join. Kelley and his wife Marcia have seven children: Kristen, 24; Katherine, 24; Kraig, 21; Kendra, 15; Kortney, 13; Kade, 10; and Kyle, 6. Lyon College senior Jon-Michael Poff of Batesville has received an English Teaching Assistantship from the Fulbright Program. Poff will be traveling to the region of Cantabria in Spain in September where he will teach English for one year. The Fulbright Scholarship is the flagship international educational exchange program sponsored by the U.S. government. Recipients of the grants are selected on the basis of academic or professional achievement as well as demonstrated leadership potential in their fields. Poff originally heard about the program last year from friend and Lyon alumna Maci Powers, ’12. Last spring and summer, Poff researched more about the award, and, in early June, he met with Dr. Alan McNamee, who taught under the Fulbright Fellowship in Poland. Dr. McNamee is the Frank and Marion Bradley Lyon Professor of Accounting at Lyon. During a sabbatical from 2000 to 2001, McNamee was selected to serve as Visiting Senior Lecturer in Accounting at the Leon Kozminski Academy of Entrepreneurship and Management in Warsaw, Poland. He has served as the campus Fulbright Program advisor for Lyon since 2002. Over the next few months, Poff began the application process; this process included writing a statement of grant purpose and a personal statement, as well as meeting with a committee of faculty and staff who interviewed him for the program. “I cannot thank them enough for their help in the application process,” Poff says about the faculty and staff committee, which included McNamee, Dr. Terrell Tebbetts, Dr. Monica Rodriguez, and Dean of Students Bruce Johnston. Poff said that in mid-October he and McNamee sent off the application. It took three months to hear that he was a finalist and then another three months to hear he had received the award. “I got the e-mail around 10:50 a.m. as I was leaving my psychology class. [Senior] Hannah Williams was walking about 20 feet in front of me, so I yelled out, started running, and told her the news as I gave her the biggest hug of her life,” Poff said. In Spain, Poff will be working as a teaching assistant at a secondary school, teaching English and several other subjects, and helping with the school’s Model U.N. programs. Cantabria is a region in northern Spain on the coast of the Cantabrian Sea (Bay of Biscay). 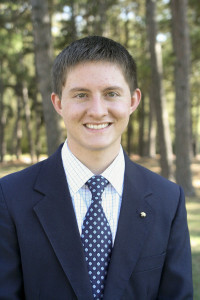 Poff is a Batesville native; he has served the Student Government Association as secretary, vice president, and president. He has also been a part of the residence life staff as both a resident assistant and resident director in Spragins House, and is a member of Kappa Sigma fraternity, Alpha Chi National Honor Society, and numerous other campus organizations. The Fulbright Program was established in 1946 under legislation introduced by the late U.S. Sen. J. William Fulbright of Arkansas. 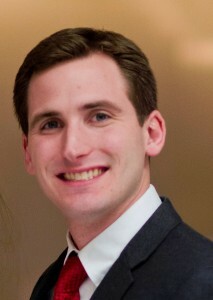 Robert Bailey, ’07, received a Fulbright fellowship in 2007 to teach English in Andorra. In addition to Dr. McNamee, Dr. Martha Beck, professor of philosophy, was awarded a Fulbright grant in 2011 that allowed her to teach in Indonesia for six months. Jon Vestal has been hired as the new vice president for institutional advancement at Lyon College. Vestal will begin the position Feb. 3, 2013. His duties will include securing philanthropic gifts, aligning all institutional advancement activities with the college’s mission and strategic priorities and working with the public to improve the college’s profile. He said he plans to work with trustees, alumni, and friends to exceed fundraising goals and strengthen connections throughout the college’s broad constituency. Vestal said he also hopes to carry the message of the college to expanded audiences both regionally and nationally. Vestal is currently the director of development at Missouri Baptist University in St. Louis. Previous to his position at Missouri Baptist University, Vestal was the Division Director for Robert Half International. Vestal received a bachelor’s of science degree in finance from the University of Central Missouri and his master’s in business administration from Missouri Baptist University. Vestal is a member of the Baptist General Convention of Missouri, Future Leadership Foundation Advisory Board, International Association of Baptist Colleges and Universities, Missouri Colleges Fund, St. Louis Regional Chamber and Growth Association Higher Education Advisory Council and Sunset Hills Rotary Club. He is also a deacon at the First Baptist Church in Ellisville, Mo. Vestal and his wife Maegan have two children, Mackenzie, 6, and Jackson, 2. Vestal said he is looking forward to meeting the people who make Lyon what it is. “I am excited to immerse myself into the rich culture and history of Lyon College, especially our Scottish heritage program,” he said. Lyon College has been named to the list of Military Friendly Schools by Victory Media. The 2013 Military Friendly Schools list honors the top 15 percent of colleges, universities and trade schools that are doing the most to embrace America’s military service members, veterans, and spouses as students and ensure their success on campus. The Military Friendly Schools media and website, found at www.militaryfriendlyschools.com, feature the list, interactive tools and search functionality to help military students find the best school to suit their needs and preferences. The 1,739 colleges, universities and trade schools on this year’s list exhibit leading practices in the recruitment and retention of students with military experience. Now in its fourth year, the 2013 list of Military Friendly Schools was compiled through extensive research and a data-driven survey of more than 12,000 VA-approved schools nationwide. Ernst and Young LLP independently verified the survey tabulation process, methodology and weightings that comprise the 2013 list. A detailed list of 2013 Military Friendly Schools will be highlighted in the annual G.I. Jobs Guide to Military Friendly Schools, distributed in print and digital format to hundreds of thousands of active and former military personnel in early October. Lyon College is ranked in the top tier of the best national liberal arts colleges for the sixth year in a row, according to the 2013 edition of U.S. News & World Report’s Best Colleges guidebook. Lyon also made the list of colleges whose studentsgraduated with the least debt load. U.S. News categorizes the 1,391 ranked colleges by mission and — for regional institutions — by region. 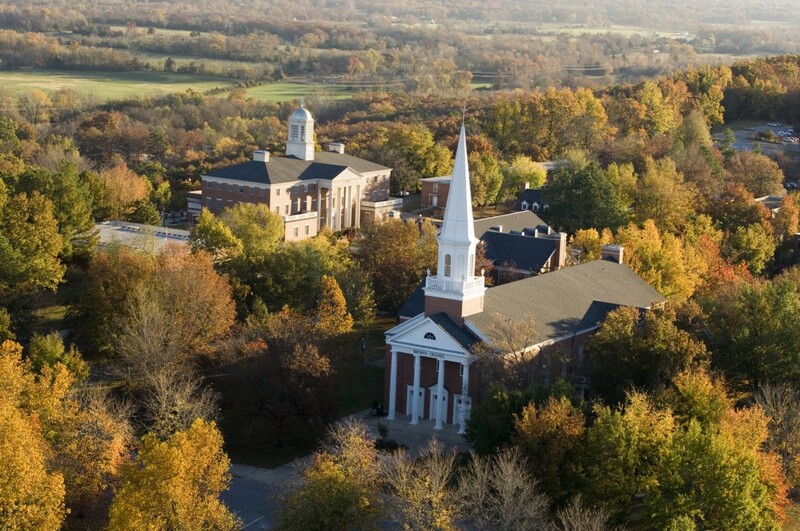 According to U.S. News, the national liberal arts colleges “emphasize undergraduate education and award at least half their degrees in the arts and sciences.” In Arkansas, only Lyon, Hendrix College and Ouachita Baptist University are included in this category. U.S. News also ranks national universities, which offer a full range of undergraduate majors, plus master’s and Ph.D. degrees, and emphasize faculty research; regional universities, which offer undergraduate degrees and some master’s programs but few, if any, doctoral programs; and regional colleges, which focus on undergraduate education but grant fewer than 50 percent of their degrees inliberal arts disciplines. These last two categories are further classified by geographic region. U.S. News also compiled a list of schools whose Class of 2011 graduated with the heaviest and lightest debt loads. The data include loans taken out by students from their colleges, from private financial institutions, and from federal, state, and local governments. Loans to parents are not included. Lyon made the list of 26 national liberal arts colleges whose students owed the least amount of money upon graduation. According to U.S. News, 44 percent of Lyon graduates were debt free, while 56 percentowed money when they graduated. The average amount of debt for Lyon’s 2011 graduates was $17,092, U.S. News said. The college whose graduates had the “most debt” was Burlington College in Vermont. U.S. News said 90 percent of its graduates owed money and their average debt was $55,240. Lyon is the only Arkansas college or university on the “Least Debt” list. Among the factors weighed in determining the Best Colleges rankings, the key measures of quality for national universities and national liberal arts colleges are: undergraduate academicreputation, graduation and retention rates, faculty resources, student selectivity, financial resources, alumni giving, high school counselor ratings, and graduation rate performance. The data collected from the survey of counselors was combined with that obtained from a survey of college presidents, provosts and deans to calculate the “undergraduate academic reputation index,” which replaced the “peer assessment” factor used in previous years. The 2013 edition of U.S. News’ Best Colleges guidebook goes on sale Sept. 18. The rankings are posted today on www.usnews.com/colleges. Less than two years after the original Edwards Commons was destroyed by fire, a new campus center bearing the same name is ready for the fall term at Lyon College. 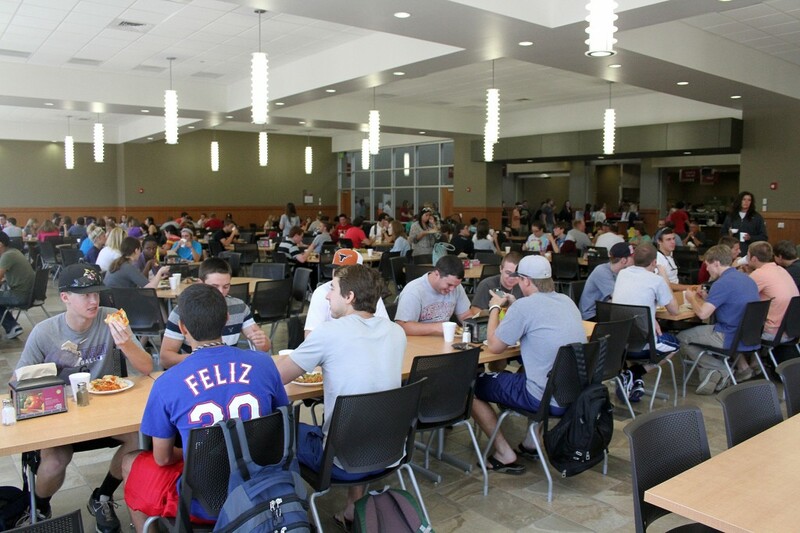 The first meal was served in the new dining hall Aug. 13. Construction on the new 44,000-square-foot building began in October 2011. The top floor, which houses the dining hall, kitchen and The Scot Shop, is virtually complete. Finishing touches are being made to the lower level, which houses the Bistro, game room and student life offices. A ribbon cutting and rededication of the new center will be held Oct. 19 immediately following the annual Founders’ Day Convocation at 11 a.m. in Brown Chapel. Former Lyon President John Griffith, who served from 1989 to 1997, will deliver the keynote address at the convocation. Lyon College President Dr. Donald Weatherman said the campus hasn’t been the same without the place that was affectionately known as “Eds.” With the completion of the new student center and dining hall, the “heart” of the campus has been restored, he said. Students will once again have a central location to gather, eat, study, play games and hang out. The loss of Edwards Commons left students eating meals in the Small Gym portion of Becknell Gymnasium before moving last fall to a 270-seat temporary dining facility known as The Temp. The new dining hall will seat 350. In addition to the new dining hall and kitchen, the new building will house The Scot Shop (college store); a bistro; student life offices; student mailboxes; student programming space; a game room featuring table tennis, pool tables,Foosball, and Wii; a cardio exercise room; student government offices; conference rooms; the counseling center; and the health and wellness clinic. The dining area also includes a balcony that overlooks Bryan Lake and surrounding trees. The student programming space includes Maxfield Room, where music can be performed and movies shown. The room is named for the Maxfield family of Batesville. Two Maxfields, Charles and Mary, were in the first graduating class at what wasthen Arkansas College in 1876. Theo Maxfield was a college trustee and president of Maxfield Bank & Trust Co. in Batesville. A fire destroyed the original Edwards Commons in October 2010. The building had been a staple of the Lyon College community since the late 1970s, but the dining hall portion of Eds was completed in 1983. Dr. Weatherman said he ate one of the first meals served in Eds and one of the last meals the day of the fire. Edwards Commons was named for the late John W. and Lucille Welman Edwards of Batesville. Mr. Edwards was a former trustee and a banker who had given the largest gift for the dining hall project and the largest ever by a Batesville resident. Funding for the $9.6 million project came from insurance proceeds from the Edwards Commons fire and from donations. The remodeled building used as a temporary dining facility, The Temp, will once again house the Scottish Heritage Program and a fine arts studio. A portion of the building may be used for meeting space in the future. Washington Monthly magazine’s annual College Guide has again named Lyon College to its list of the nation’s most socially beneficial liberal arts colleges. Lyon is ranked 117th, up from 200 last year. Lyon has made the magazine’s list of top colleges for the last seven years. Unlike most other college guides, the Washington Monthly guide asks not only what colleges are doing for students, but also what colleges are doing for the country. Washington Monthly came up with three indicators of how much a school is contributing to the public good. The magazine ranked schools in three broadcategories: social mobility (recruiting and graduating low-income students), research (producing cutting-edge scholarship and Ph.D.’s), and service (encouraging students to give something back to their country). So this year, the rankings incorporate a new measure called the “cost-adjusted graduation rate.” This involves tweaking the calculations the magazine has long used to derive a school’s social mobility score. In the past, the annual college guide predicted a college’s graduation rate using the median SAT/ACT score of each school and the percentage of its students receiving Pell Grants and then compared it to the actual graduation rate. This year, they made two changes. First, to increase the ability to predict graduation rates, they used additional student and institutional characteristics, such as the percentage of students attending full time and the admit rate. Second, to get at cost-effectiveness, they took the gap between the predicted and actual graduation rate of a school and divided it by the net price of attending that institution. (Net price represents the average price that first-time, full-time students pay after subtracting the need-based financial aid they receive.) The aim of the new cost-adjusted graduation rate is to highlight those collegesthat use their resources to effectively educate students at a relatively low cost. Washington Monthly is a magazine based in Washington, D.C., which covers American politics and government. For more information on the list, see www.washingtonmonthly.com. For the ninth year in a row, The Princeton Review has named Lyon College a “Best Southeastern College,” based on results from its “2013 Best Colleges” survey. Lyon College is one of 136 schools receiving the Best in the Southeast designation, and one of only four Arkansas institutions on the list compiled by the education services company headquartered in Massachusetts. The 136 colleges The Princeton Review chose for its “Best in the Southeast” designations are located in twelve states: Alabama, Arkansas, Florida, Georgia, Kentucky, Louisiana,Mississippi, North Carolina, South Carolina, Tennessee, Virginia, and West Virginia. The Princeton Review also designated 222 colleges in the Northeast, 122 in the West, and 153 in the Midwest as best in their locales on the company’s “2013 Best Colleges: Region by Region” lists. Collectively, the 633 colleges named “regional best(s)” constitute about 25% of the nation’s 2,500 four-year colleges. For this project, The Princeton Review asks students attending the schools to rate their own schools on several issues — from the accessibility of their professors to quality of the campus food — and answer questions about themselves, their fellow students, and their campus life. Comments from surveyed students are quoted in the school profiles on The Princeton Review site. The Princeton Review does not rank the 633 colleges in its “2013 Best Colleges: Region by Region” list hierarchically or by region or in various categories. The Princeton Review is a known for its test prep courses, education services and books. It has conducted the “Best Colleges” survey since 1992, when it first published its annual guide, the only one offering college rankings based on student ratings of their schools and reports of their experiences at them. Headquartered in Framingham, MA, with editorial offices in New York, the Princeton Review, which is a privately held company, is not affiliated with Princeton University.